Our area has hundreds of manufacturers that make parts for cars and trucks, boats, aircraft, medical devices and thousands of other things used around the world every day. At the same time, workers in the construction trades are busy building, equipping and repairing homes and businesses. These hands-on jobs take skill and training, pay well and help improve communities and the quality-of-life in northeast Indiana. The careers in these industries involve a variety of skills, so there's a good chance you'll find a match with your particular strengths and interests. But one thing is certain: No matter what skilled, hands-on career path you choose, you will be entering fields that are more high-tech than ever before. You could be operating robots, computer–controlled milling machines or other sophisticated manufacturing equipment. You could be welding critical components to tight tolerances. Or, maybe you'll be keeping the machines running by specializing in industrial maintenance. You could even be building the factory or facility where all these jobs take place. Most of these jobs require specialized knowledge and they pay far better than unskilled positions, ensuring a good future for you and the entire region. Twenty-three percent of people employed in northeast Indiana’s manufacturing sector and 25 percent of people in construction are at or near retirement age, meaning your skills are needed to fill those positions. Moreover, manufacturing job growth independent of retirements in northeast Indiana is expected to outpace growth in other Midwestern regions, including Dayton and Toledo, OH; Kalamazoo and Grand Rapids, MI; and South Bend, IN. The bottom line: Between expected job growth and replacing retiring workers, projections indicate the manufacturing and construction industries in northeast Indiana will need to hire up to 27,990 more workers in the next decade, according to an analysis done by the Indiana Department of Workforce Development. Automation/Robotics: Technicians in this field fulfill a variety of roles, including designing, programming, installing, maintaining and troubleshooting robots and other automated manufacturing technologies. The demand for industrial robots has been increasing significantly, especially in the automotive manufacturing industry. 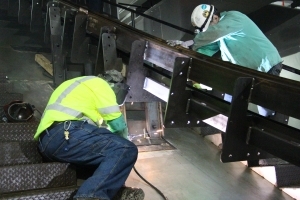 Welders may work on a job site, in a factory or in a workshop. Welding: Welders join metals or thermoplastics using heat or pressure or both. There are many different kinds of welding and increasingly professionals are using amazing machinery and revolutionary technology, including electron beams and lasers. Welding requires a high degree of skill and knowledge of advanced technology. Industrial Maintenance: These skills are in high demand, so there’s no problem finding a job just about anywhere in the country. 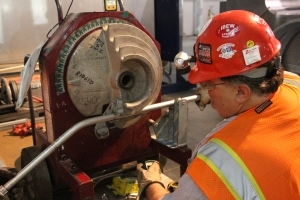 Industrial maintenance technicians install, repair and maintain machinery for manufacturers. They often need to know about welding, hydraulics, electricity and mechanical fundamentals. 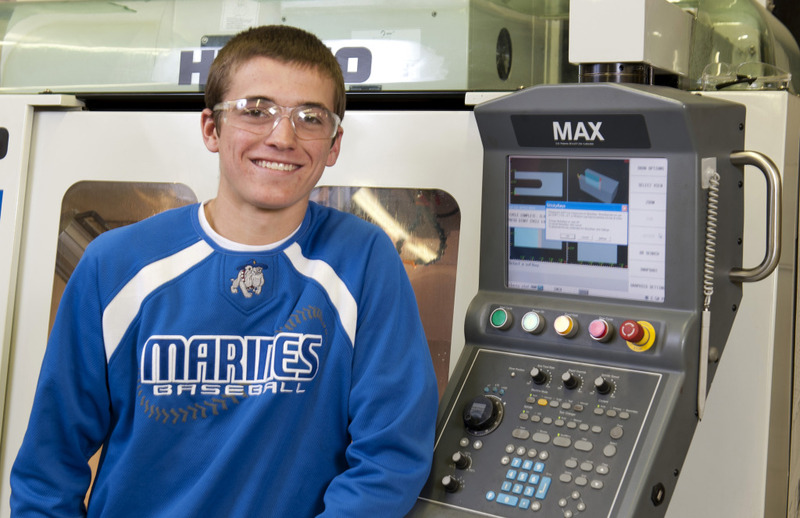 Computer-controlled machining allows for the utmost in precise production. These jobs are also in high demand. 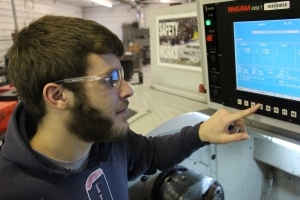 CNC machinists make parts and components manufactured to precise dimensions using modern machinery controlled by computers. Precision machining means shaping large chunks of material into smaller, complicated parts so they can fit exactly where they are needed. Carpenters use a variety of tools and specialized skills every day. Carpenter: Carpenters are skilled craftsmen who work in the construction industry fabricating primarily wood constructions, from the entire framework of a building to ornate woodwork on stairs and trim. Some carpenters pre-fabricate cabinets and other structures in shops or factories while others work on construction sites, cutting, joining and installing structural elements. Carpenters are in great demand, particularly those skilled in what's called "finish carpentry." 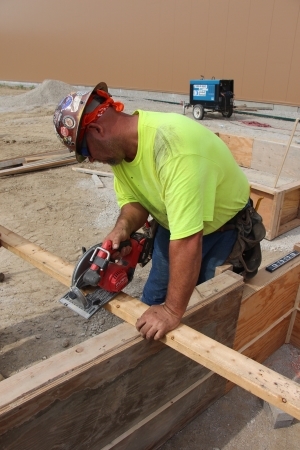 The U.S. Department of Labor predicts a long-term need for finish carpenters because, like other hands-on skills, the jobs can't be transferred overseas. They traditionally earn more than the average carpenter. Plumber: A plumber is someone who installs and maintains pipes in our homes and businesses. These pipes need to be installed and maintained for drinking water, drainage, irrigation and sewage, as well as other uses. Plumbers can be involved in hands-on work or may work in a design capacity, drafting blueprints and helping make the installation process more efficient. A union electrician shapes conduit that will protect wiring yet to be installed. Electrician: Electricians design, install, maintain and troubleshoot electrical wiring systems. The systems can be in homes, commercial or industrial buildings, and even in machines and large pieces of equipment. Most electricians specialize in either designing, installing, maintaining and repairing the motors, equipment and electrical systems of businesses and factories or installing, maintaining and repairing the electrical systems of residences. HVAC Technician: Heating, air conditioning and refrigeration mechanics and installers—often referred to as HVAC technicians—work on heating, ventilation, cooling, and refrigeration systems that control the air quality in many types of buildings. They mostly work in residential homes, schools, hospitals, office buildings, or factories.